Today on 24th September 2018 the gala event The Best FIFA Football Award ceremony will take place. The selection panels were announced in July 2018. This is a prestigious award for any soccer player of the world. On 24th July 10 players were shortlisted and among the best three names were revealed on 3rd September 2018. 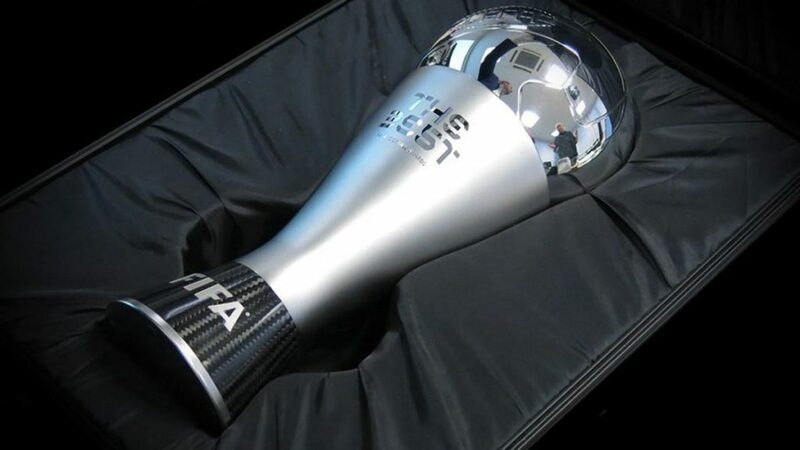 The Award will be presented to the players by the Governing Body of FIFA. There are a lot of categories of the Award. The Best FIFA Men player, The Best FIFA Women Player, The Best FIFA Goalkeeper, The Best FIFA Women Coach, FIFA Fair Play Award, FIFA Puskas Award, FIFA Fan Award and FIFA FIFPro World 11. If the soccer fans and the viewers who love to watch the award ceremony are keen to know about the details of the event, then this article will be of great use. England is the country which will host the ceremony and will be lighted up with the soccer stars from all over the world. Venue: The BEST FIFA Football Awards will take place in London’s Royal Festival Hall in England. The prestigious soccer award will be a grand event in this grand hall in London. Time and date: The grand award ceremony will start on 24th September 2018 from 7:30 pm BST (2:30 pm ET). All soccer players in the world will be invited to attend the event, and the prestigious award will be presented to the best player depending on the respective achievements from 3rd July to 15th July 2018. Just follow the official FIFA youtube channel and social media to get live online coverage of FIFA football awards 2018. As per the latest news, the ceremony will not be shown on Television. The final contender, the Best FIFA Men’s Player, are Cristiano Ronaldo of Portugal who used to play for Real Madrid and now playing for Juventus, Mohamed Salah of Egypt who plays for Liverpool and Luca Modric of Croatia who plays for Real Madrid Club. Earlier it was Lionel Messi of Barcelona and Argentina who used to top the list of the Final contender, but this time he is nowhere in the list. Originally there were ten names but will the votes of the national team coaches, fans, journalists and national team captains the number came down to three. Among them, one of them will be receiving this prestigious Award. In the women section also only three players are finally nominated and among them, only one will be receiving the Award. Ada Hegerberg of Norway was the winner of the UEFA Women’s Champions League and also helped Lyon to win the Lyon win Ligue 1 feminine. Marta is the pride of Brazil and played for Orlando Pride and was the part of NWSL Best XI and finally, she was the Captain of Brazil in Copa America Feminina title. She won all the seven games in finals. Regarding best coach of FIFA, there are three names and these men will be awarded the highest honour of football on 24th September 2018. Zlatko Dalicof Croatia, Zinedine Zidane of France, Didier Deschamps of France National team are the three best coach who is nominated, and among them, only one will be receiving The Best FIFA Coach. In this Category, there are three nominated names, and among them, one only will be receiving The FIFA Best Women Coach. Asako Takakura of Japan, Reynald Pedros of Lyon and Sarina Weigman of Netehrlands. Again, three names are shortlisted for the award, and only one will have a bright day on 24th September to receive the award from the Governing Body. Hugo Lloris of France, Thibaut Courtois of Belgium and Kasper Schmeichel of Denmark are the nominated name for the best Goalkeeper award of 2018 FIFA. Fans are waiting to hear the final title in the evening today. Some very important players are chosen for the Puskas Award, and they are Leonardo Bonucci, Sergio Ramos, Marcelo and Dani Alves as the defenders, Buffon as Goalkeepers and Toni Kroos, Andres Iniesta, Luka Modric as the midfielders and Ronaldo, Neymar and Lionel Messi as the best forwards. In the ceremony, Noel Gallagher will be performing and entertain the audiences in all parts of the world and the biggest football stars of the world present in the Hall. There will be no live television coverage, and the ceremony can be attended by invitation only. One will be able to follow it live on Fifa’s Digital platform or just through the Telegraph Sports Live Blog.